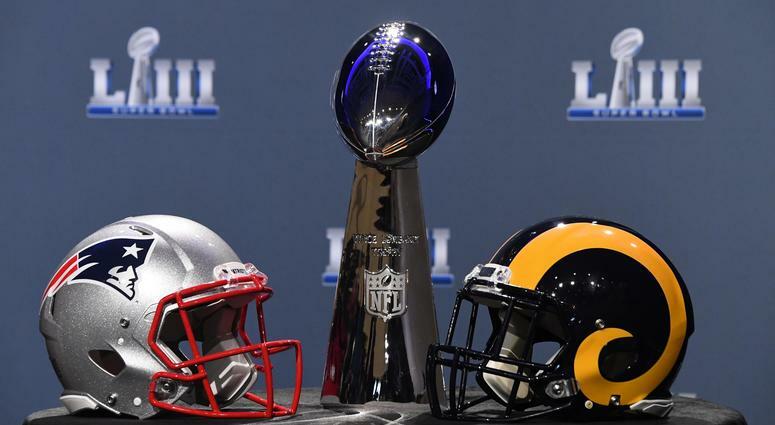 This year’s matchup features the Los Angeles Rams and the New England Patriots. Our beloved Denver Broncos seem to be far from appearing in a Super Bowl any time soon, but that doesn’t mean we can’t root in favor of one team this Sunday. 1) The Rams offense is a lot of fun to watch. If you haven’t heard yet, Los Angeles Head Coach Sean McVay is the hottest thing in the NFL. He’s only 33 years old and yet he might be the best play caller in the NFL -- he’s very crafty at getting his dynamic playmakers the ball in open space. Their quarterback, Jared Goff, has a great arm and in combination with the speed that their receivers Brandin Cooks and Robert Woods possess, the Rams passing game is a real treat to watch. Meanwhile, running back Todd Gurley is explosively controlling the run game behind arguably the best offensive line in the NFL. The Rams have become their own LA version of the "Greatest Show on Turf." If you look at the Los Angeles Rams' roster card, you might recognize a few big names; Broncos legend and fan favorite Aqib Talib was traded last offseason to the Rams. Talib has missed a good portion of this NFL season, however, he returned this post-season and has been the lockdown corner we saw for years here in Denver. Another former Bronco who was picked up late in the season by the Rams, but has played an integral part in getting this team to the Super Bowl is C.J. Anderson. When the Rams' starting running back injured his knee late this season, Anderson stepped in and helped carry the load, and just like we saw in the Broncos' Super Bowl 50 season, Anderson sure has delivered for this running game! Another local legend on the Rams is their defensive coordinator, Wade Phillips. If they can't win a trophy for Denver, it would still be cool to see these former Broncos get another Super Bowl ring. 3.) Broncos Fans don't cheer for the Patriots. PERIOD. It’s safe to say one thing is clear in this town: For the past decade, the Broncos' biggest rival has been the Patriots. Which is why we here in Denver never want to see Tom Brady, Bill Belichick, and the Patriots team hoist up another Lombardi trophy. The past six Super Bowls have featured either the Denver Broncos or New England Patriots. Not only are the Los Angeles Rams an upcoming and exciting young team, featuring a few Denver fan favorites from past teams, but on top of that, their opponent is the Broncos' biggest rival in the past decade. Although our beloved Broncos aren’t playing, we can put on yellow and blue this Sunday and cheer on the Los Angeles Rams to a Super Bowl victory! But we'll always bleed blue and orange for our Broncos. What do you think, Broncos fans? Who will you be rooting for in this year's Super Bowl? Let us know in the comments below.